After hammering Zimbabwe in the ODI series. The Proteas carried their momentum into the T20's and now aim to seal T20I series, when they welcome the tourists to Senwes Park for the second T20I of the three-match series on Friday, October 12. 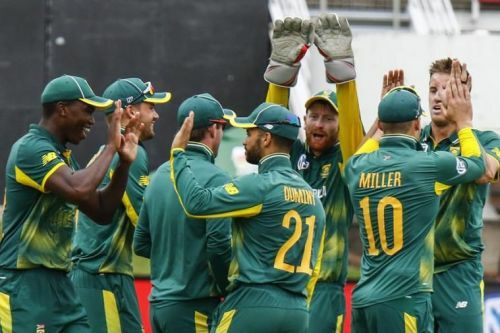 South Africa have won all four T20 games they have played against the neighbours and are like to continue their winning streak. The hosts went into this series on the back of a 1-2 drubbing against India followed by a defeat in only T20I against Sri Lanka. But are now got themselves back on the winning track with a comfortable win in the first game at Buffalo Park. After winning the first T20 without even breaking a sweat, they would be tempted to stick with the same winning combination. Rassie van der Dussen, having impressed in franchise cricket, took his opportunity on his T20 international debut as he hit a half-century against Zimbabwe, scoring 56 from 44 balls and sharing important rebuilding partnerships with Faf du Plessis and David Miller. Du Plessis and Miller are also danger men with the bat, having hit 34 and 39 respectively in the previous game. Miller hit an unbeaten century from just 36 balls when South Africa last played at Senwes Park, meanwhile – hitting seven fours and nine sixes in his innings. Imran Tahir is now South Africa’s leading T20 international wicket-taker after his 5-23 from four overs in the first match against Zimbabwe, meanwhile. Tahir’s leg-spin has now accounted for 62 wickets in just 37 T20 Internationals. He also claimed ten wickets in the ODI series too. The pace attack also impressed at Buffalo Park, with Lungi Ngidi claiming 1-7 from just three overs, and Junior Dala and Andile Phehlukwayo both weighing in with two wickets apiece. Zimbabwe defeat at Buffalo Park extended their losing streak in T20I's and they have now lost all seven matches they have played in the shortest format of the game this year. They started the year with two back-to-back defeats against Afghanistan in Sharjah, before losing all four games they played against Pakistan and Australia in the T20 Tri-Nation Series in Harare. Kyle Jarvis was expensive with the ball, but his 3-37 from four overs means he now has 17 wickets to his name in 13 T20 Internationals. Chris Mpofu took 2-24 from his four overs and him along with Chatara will bear the responsibility to slow down the scoring rate in middle overs. Peter Moor gave visitors something to be cheerful about in the defeat at Buffalo Park, however, a late 44 from 21 balls, including five sixes, to add some respect to the scoreline. He will be eager to replicate his show in the second test. 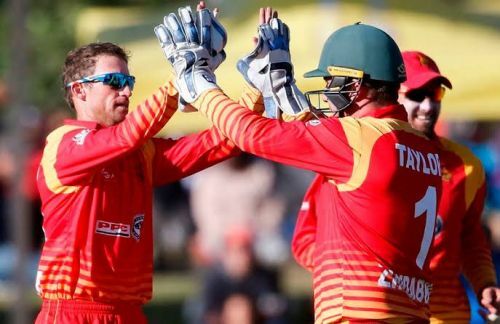 While they will also need their frontline batsmenThey Hamilton Masakadza, Brendan Taylor and Solomon Mire to lay down some partnerships and get the team towards a fighting total. Expected Playing XI: Hamilton Masakadza (C), Solomon Mire, Brendan Taylor, Sean Williams, Peter Moor, Elton Chigumbura, Tendai Chisoro, Kyle Jarvis or Chris Mpofu Chamu Chibaba, Wellington Masakadza and Tendai Chatara.